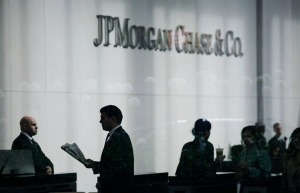 By now, we’ve all heard about the $2 billion (maybe $3 billion) loss at JP Morgan. An article in The New York Times shows how this loss was the result of long unresolved conflicts. It seems that when mom wasn’t as available, the kids started throwing sand at each other in the sandbox. Conflicts are a part of life and sometimes, a daily part of work life. When handled well, conflict can spur new ideas and results in stronger outcomes. However, as this case shows, unresolved conflict can cost real money. When conflicts remain unresolved the nature of the conflict changes. When conflict starts the conversation is about you (your ego), me (my ego) and the conflict. If we aren’t able to resolve the conflict, my focus on the conflict changes. You fall out of the picture and I’m focused on the conflict and what I need to get out of it. If it still remains unresolved, I get to the point of not caring what the conflict is actually about, instead the focus is completely on me and making sure I get what I need, to make sure I win. This seems to be what happened at JP Morgan. Something in the culture allowed the focus to go from coming up with the best decision and solution to winning at all costs. The inability to play nice in the sandbox just cost them $2 billion.